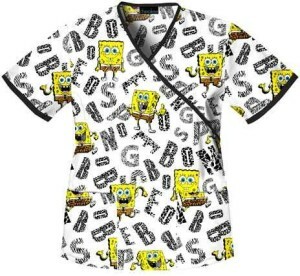 Top 20 Fun Scrubs Tops! What a draaaaaaag–but how to make it fun? How to put a smile on your frowny impatient patients who just want to get the heck outta the hospital? The answer? 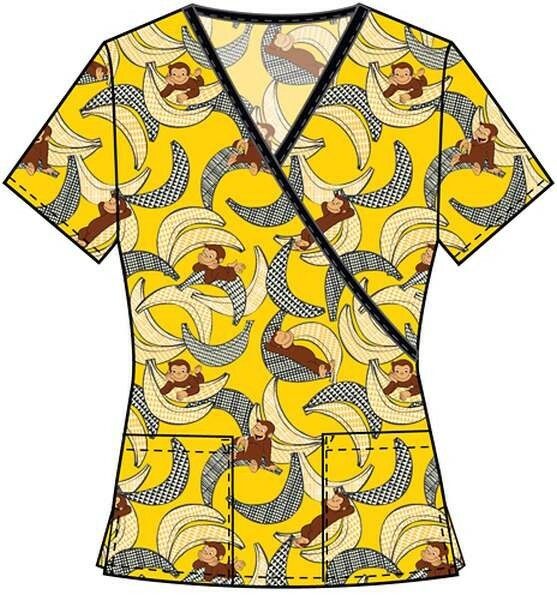 FUN SCRUBS. 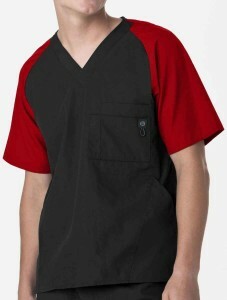 Fun scrubs? What does that even mean? Well, according to a couple different studies, what you wear to work can affect not only who you work with (for you healthcare workers, that means your fellow staff and patients), but also yourself. Let me explain by taking you on a visual tour of a wholeee newww woooorrrlllddd of my top 20 picks for super Fun Scrubs. Wouldn’t it be great if you had the cleaning and organizational power of animals and nature within your grasp at the hospital? Ah, if only it weren’t a health hazard. 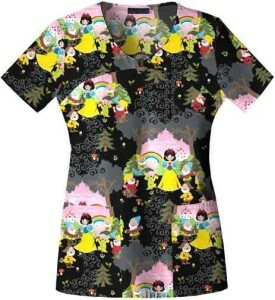 Anyway, keep calm and whistle while you wear this Snow White scrub top! YOU’RE AN ANIMAL, A FRIENDLY, NON-THREATENING BEAST. If you like to move-it move-it at work, then this is the scrub for you. The Count has counted to 3! 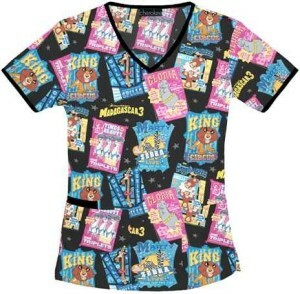 The kids will love this Sesame Street scrub top (along with the adults that were born in the 80’s). Uh… yeah, sorry guys, there aren’t a whole lot of “fun” scrubs for you (start writing letters and demanding some awesome printed designs!). This one is the most fun I could find for you baseball-lovers. Wear this and leave after a hard day’s work feeling like you’ve hit a homerun! While you’re at work or don’t have access to hours upon hours of cute cat videos on youtube (or if you’re ironically allergic like me–I say ironically because my name is Cat), here’s a scrub that will show ‘em meow it’s done. 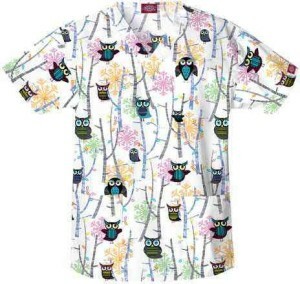 I’m not really sure what it is about owls and owl prints, but they seem to be a real hoot with the healthcare industry professionals! Unrelated to scrubs, but relevant to adorable comics about an owl named Owly who just wants to be friends with everyone, here is a link to some free Owly comics that you can read while you’re on break. The pockets on this one are super cute. Carry these little buddies around with you while you work! 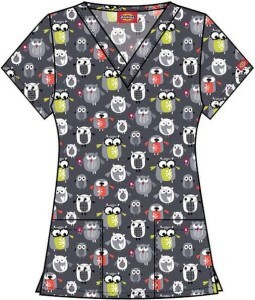 Okay, admittedly, these are for kids, but that just means there’s super cute fun scrubs for the whole family (well, maybe not so much the guys, but… hopefully that will change in the future). Don’t be a square! Or be a square. Whatever you want, the choice is yours. 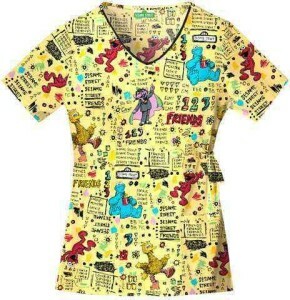 If you’re into really spoohky (see what I did there) Winnie the Pooh designs, this scrub top v-neck is a real grab (FROM THE GRAVE. Just kidding. Maybe?). Being square is not always a bad thing. 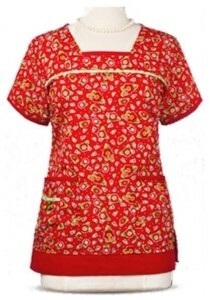 Here’s a Mary Engelbreit scrub top with a super cute square neck and red patterned design. This nautical theme would go great with some Timberland Casco Bay Boat Shoes. 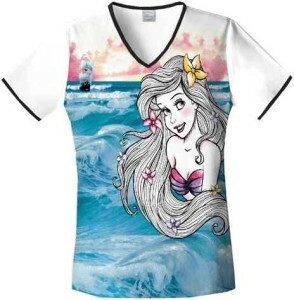 If your patients are looking a little seasick, they will definitely feel as refreshed as a cool ocean mist when they see you in this fashionable sailboat scrub top. Set the sails, full health ahead! I recently re-watched Disney’s Bambi and it was like the saddest thing ever (well, not quite as sad as Dumbo. That got too real), BUT the good part is that everyone only really remembers the fancy-free prancing of this growing deer and his animal friends. That’s sort of ideal experience though, isn’t it? Get through all the tough times, but come out remembering the best of those times. 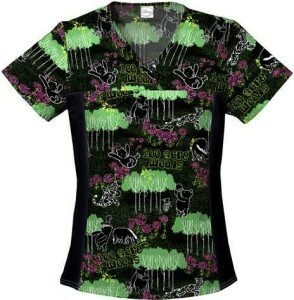 Spread that positive experience to your staff and patients with this Bambi scrub top. The greatest lesson that can be learned from Disney’s The Little Mermaid is that you can become anything you want to be. With magic. 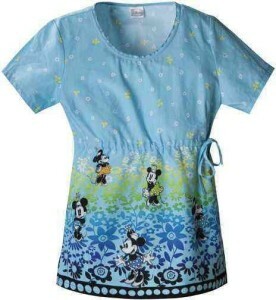 This mermaid Ariel scrub top wants to be part of your world. 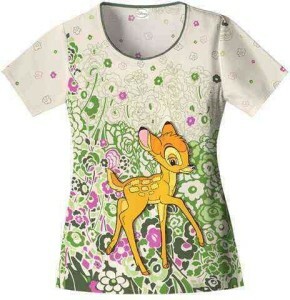 While you supervise the student interns tinkering around with the medical equipment, let this Tinkerbell scrub top perform some magic for the patients. 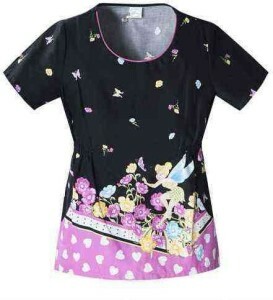 Create some excellent visual landscapes within your medical work wear with multiple Minnie Mouse’s. A-ha! 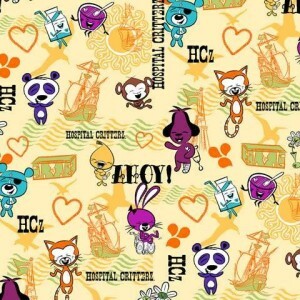 I never watched a whole bunch of Hello Kitty as a child, but I saw a few episodes and they were… bizarrely calm? 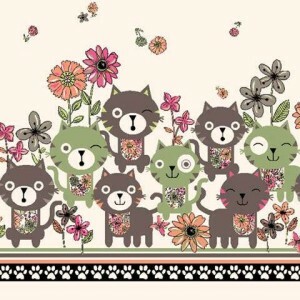 Well… anyway, Hello Kitty is a giant hit with people all over the world. She has become an icon for fashion, cute culture, individuality, and maybe stereotypes of Asian submissiveness (but there have been lots of rad movements to reverse this trend). 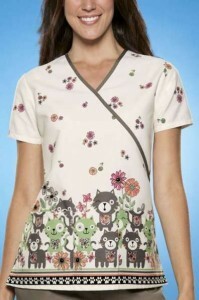 So get that kawaii out of your eyes and start spreading the joy with these Hello Kitty scrubs. 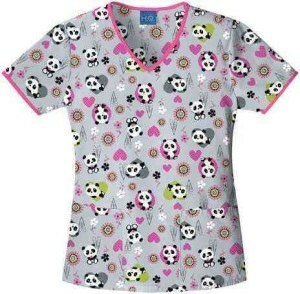 Whether you’re an SF Giants fan or simply in love with their unBEARable cuteness, this Panda scrub top is pan-daringly comfortable for a hard day’s work in the nicu. 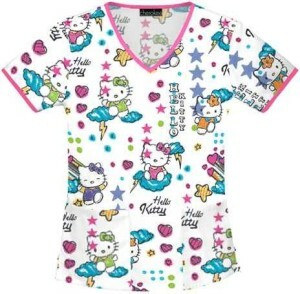 I bet you were curious to know what the last of the Top 20 Fun Scrubs would be (all fun scrub tops should be punintended). So here it is, a Curious George yellow scrub top. Everyone will go BANANAS when they see it.